A wildly-intense truck inferno on I-95 led to long traffic backups on the highway Wednesday night. 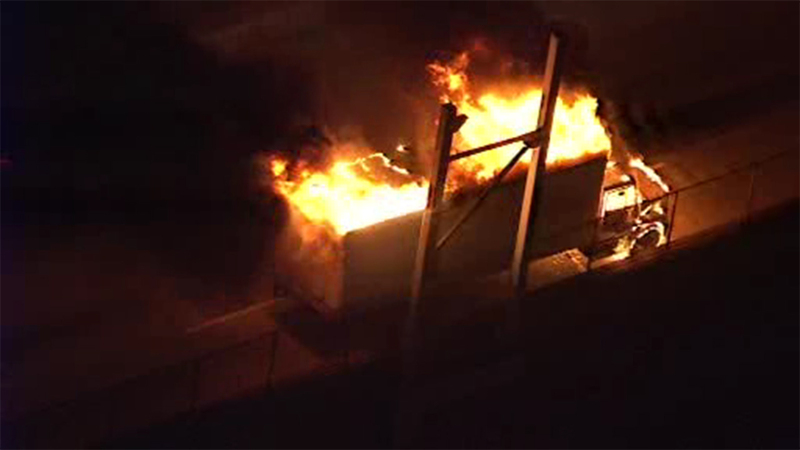 PORT RICHMOND (WPVI) -- A wildly-intense truck inferno on I-95 led to long traffic backups on the highway Wednesday night. Fire trucks had to block some of the southbound lanes, just below Allegheny Avenue at 8 p.m.
Chopper 6 HD was overhead as the box truck was fully engulfed in flames. Authorities have not said what, if any, cargo was inside the big rig, or what started the fire.